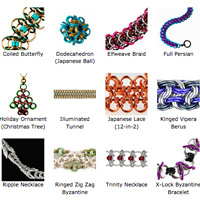 Browse more than 150 chainmaille designs as originally featured on the Blue Buddha Boutique website from 2004-2016. You'll find early work from artists such as Rebeca Mojica, Kat Wisniewski, Omni Mee and more. Some designs are available as FREE or paid downloads, while others are shown for inspiration and eye-candy purposes only. Enjoy! 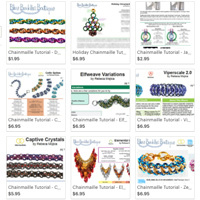 PDF tutorials for 50+ chainmaille designs can be purchased on the Blue Buddha Boutique Etsy shop. 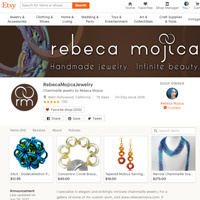 Linkt® Craft Kits are also sold in the B3 Etsy shop. Occasionally kits, tools, findings and other supplies are also available. Be sure to check the Sale/Closeout section to score some good deals on excess inventory. Blue Buddha Boutique is honored to have worked with many talented chainmaille designers throughout the years. 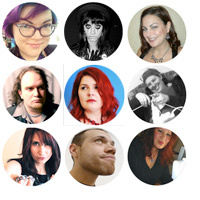 Hop on over to our "About" section to find out more about these amazing folk and check out their various websites and creative endeavors. 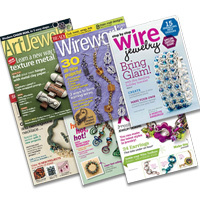 Dozens of projects published from 2004-2015 in magazines such as Step by Step Wire Jewelry, Wirework and Bead&Button. (Sorry, not currently available, but this page will return at some point).